One of our favorite features at weddings the past few years have been the candy bars/buffets that couples set up for their guests. Everyone loves treats, and it’s also a great way to provide some colorful personalization for the wedding reception. It’s literally eye-candy! That and sugar rush + dance floor = all-night-FUN! 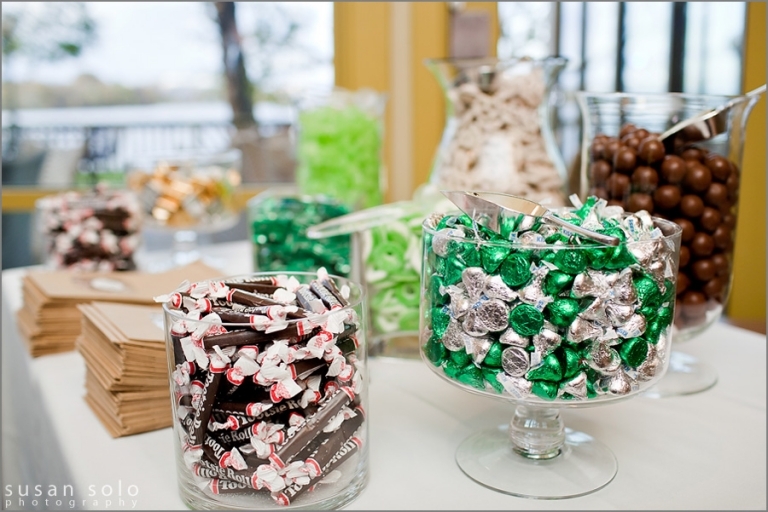 There are tons of posts out there on tips for setting up the bar, but I thought it would be helpful to share some ideas on what you can do with your collection of candy jars after the reception. Of course you can always pass them along or sell them for another bride and groom to use, or you can (Captain Obvious) use them as candy jars, but here are some creative reuse ideas! 1. Rainy Day Jar or Date Night Jar: Take turns with your new husband/wife writing down fun suggestions for a rainy day or a date night on small pieces of paper, and store them in the jar. Next time you need an idea for one of these occasions, draw randomly from the jar! 2. Thanksgiving Thanks: For the month of November or even throughout the whole year if you’re both feeling ambitious, write down things you are thankful for on little slips of paper and put them in the jar. On Thanksgiving Day, take turns reading the thanks to each other. Aw! 3. Office storage: I can’t think of a cuter way to store paper clips, rubber bands, or maybe even pens/pencils. Craft supplies would also make a really pretty display – think colorful ribbons, scrapbook embellishments, and markers. 4. 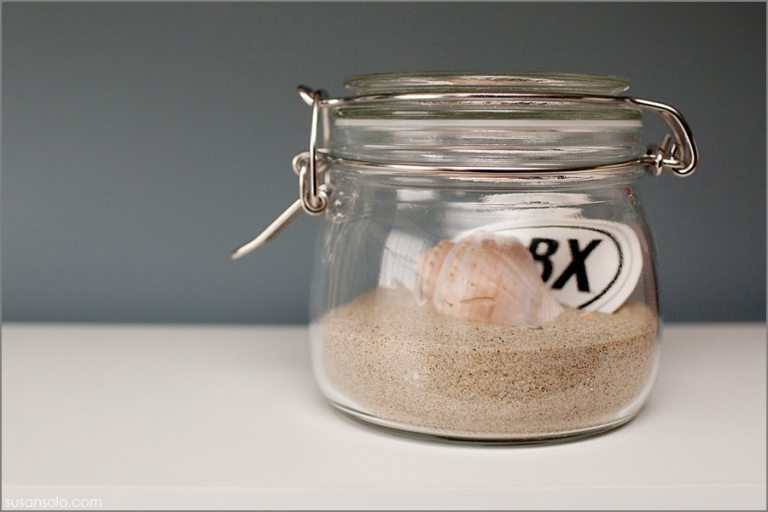 Memory Jar: Decorative jars in various sizes are perfect for corralling small mementos. I happen to collect movie ticket stubs, and I purchased two jars just for that reason. Some other small collections that can be displayed in the candy jars: fortune cookie paper fortunes, post cards, concert tickets (or any kind of tickets, really), seashells, etc. Here’s the original post about some of my jarred memories. So what did you do with the jars from your wedding? Did you find a creative use for them, or are they sitting in a storage closet?